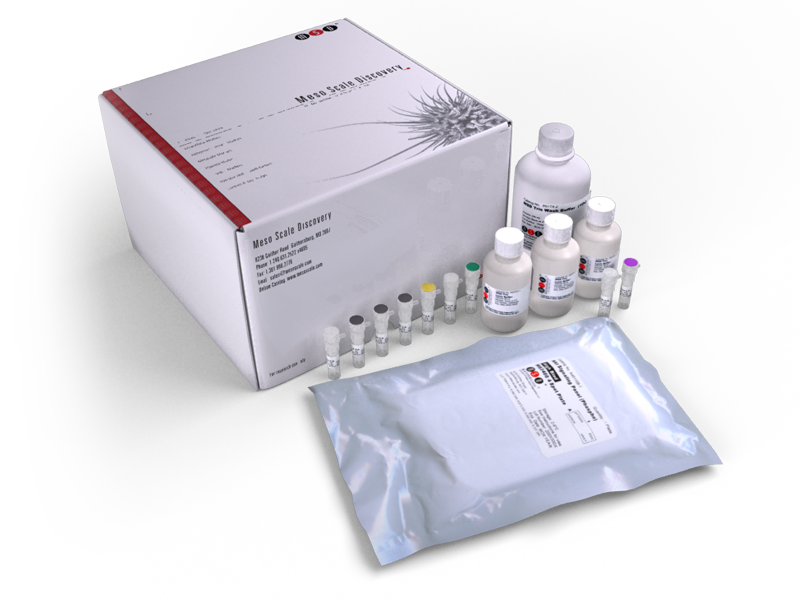 The Vascular Injury Panel 2 (human) Kit measures 4 biomarkers that are important in acute inflammation and tissue damage as well as numerous other biological processes. These assays can detect secreted biomarkers in a variety of tissues and body fluids where over- or under-expression may indicate a shift in biological equilibrium. The Vascular Injury Panel 2 (human) measures biomarkers that are implicated in a number of disorders, including atherosclerosis, rheumatoid arthritis, Alzheimer’s disease, cancer, cardiovascular disease, type 2 diabetes, and stroke. As a result of their association with such a wide spectrum of disease, these biomarkers are the subjects of drug discovery projects, diagnostics development, and basic research. The Vascular Injury Panel 2 (human) Kit provides assay-specific components for the quantitative determination of SAA, CRP, VCAM-1, and ICAM-1 in human serum, plasma, cell culture supernatants, cerebral spinal fluid, and urine.